The festive period and the long dark winter months can be a particularly difficult time for older people. This is the time of year when we tend to reflect on memories of happier times with our friends and loved ones, and loneliness can be magnified as a result. It’s estimated that 1.2 million people are chronically lonely in the UK. The support structures for loneliness aren’t always strong, and it’s believed that around one in ten people visit their GP surgery because they are lonely. According to a report by the Campaign to End Loneliness, around two fifths of older people said that television was their main source of company. The pain associated with loneliness, has been compared to physical pain and the health effects of loneliness are astounding. It’s been compared to smoking 15 cigarettes a day, and is estimated to be twice as deadly as obesity. In addition, the risk of developing high blood pressure, dementia, depression and anxiety increase for those dealing with loneliness. Over 44,000 older Londoners are described as “chronically lonely”. The situation in London, isn’t any better. Time Out magazine produced their 2016 City Index Survey, which showed that 55% of Londoners feel lonely some of the time, and the city was also ranked as the loneliest amongst all those surveyed. This epidemic shows no signs of abating, which begs the question; what practical steps can be taken to reduce loneliness among older people? New research published by UCL in 2017 showed that affective touch can mitigate the harmful effects of loneliness. Rebekka Mikkola, who is a touch therapist and founder of Nordic Cuddle, wasn’t surprised by these findings. In fact she has seen first-hand just how powerful touch can be through her work. “This study confirmed something that we already know and understand, that touch has the power to heal and comfort. That’s why we kiss our children when they fall over, and why we hug people when they’re sad. 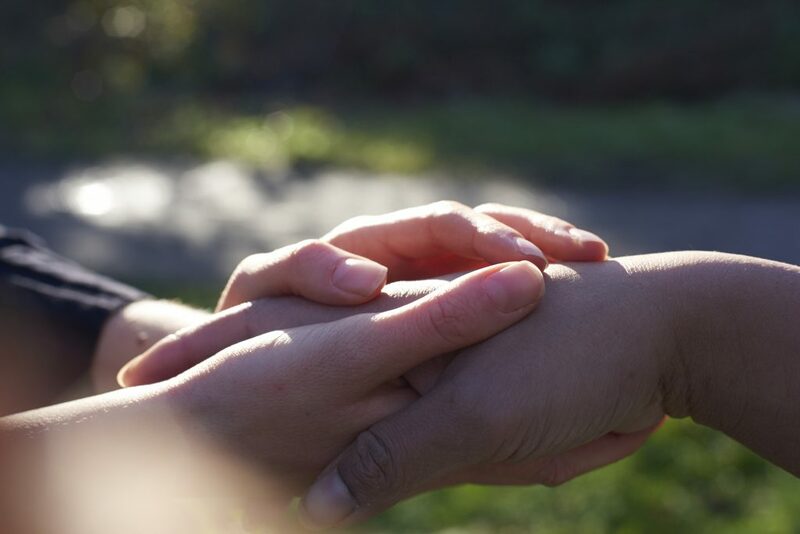 We form deeper physical and emotional connections with people through touch, which makes them feel loved and cared for.” said Rebekka. In his new book Out of the Wreckage, which was released in summer this year, George Monbiot writes that, “Social contact reduces physical pain…affection is a powerful analgesic.” He couldn’t be more right. We need touch in our lives and as science has now shown, it can be used as an effective way to combat the impacts of social isolation. Older people deserve to be cared for and looked after and there is no better way to do this than through human presence and touch. Time Out magazine discovered that 55% of Londoners feel lonely some of the time. Rebekka would like to improve social relationships with older people in London, and sees touch as a holistic method of addressing loneliness. She uses various touch therapy options, which she discusses with each client, so that the session can be tailored around them and what they feel comfortable with. This includes holding hands, stroking and gentle hugs. She also provides a trusted space in which clients can freely discuss issues on their mind. “Touch releases feel-good hormones like Oxytocin and people report feeling calmer and more relaxed after our platonic touch and cuddle sessions. Existing clients who are dealing with loneliness have told me how they feel cared for and understood during our sessions, and that their lives have improved as a direct result of cuddle therapy,” said Rebekka. While we live in a society that’s almost afraid of touch, the scientific basis is building around the positive health benefits it can have. Older generations in particular may be less keen to embrace touch, but it could potentially improve their quality of life and wellbeing the most. To find out more, please contact Nordic Cuddle below. Ryan Mizzen is a Freelance Writer and Journalist, who has had work published by prominent outlets such as the Thomson Reuters Foundation, the South African newspaper and various blogs and websites. Health and Social Care – Together at Last!